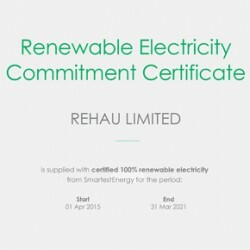 REHAU has received SmartestEnergy’s annual ‘Renewable Electricity Commitment’ certificate, reflecting its dedication to improving sustainability. 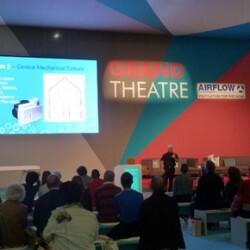 Airflow Developments will exhibit its range of ventilation solutions at this year’s Grand Designs Live, at the NEC Birmingham from 11th–15th October. Working through an umbrella company has many rewarding benefits. Milosz Krasinski outlines the specific advantages that are available to contractors. Axion Polymers has been shortlisted for Best Recycled Product and Best Technology Application at the upcoming Plastic Industry Awards 2017. 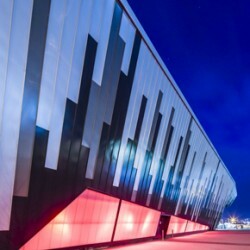 Cardiff’s Ice Arena Wales has benefited from the installation of Marlon Clickfix 1040 polycarbonate panels, supplied by Brett Martin in geometric shapes. CRL’s Office Partition XL has been developed for offices, where users are looking to create an open-plan ambience without compromising on acoustics. 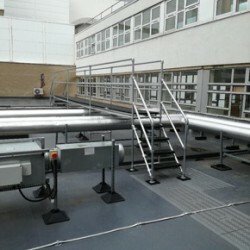 Kee Systems has delivered access platforms to Sunderland Royal Hospital, enabling safe access to plant & equipment on the roof of the Emergency Department. 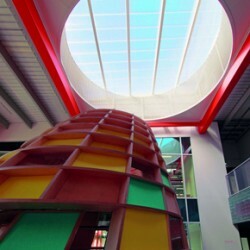 A new tech hub has benefited from the installation of Brett Martin’s Marlon Clickfix RL rooflights, glazed with Marlon Clickfix 1040 polycarbonate. 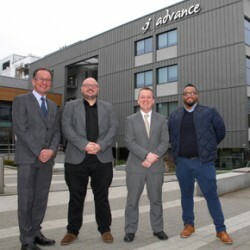 Trimble Solutions (UK) has provided budding apprentices at Dudley College with access to Tekla Campus software, in support of CADCOE’s training initiative. Alumasc Water Management Solutions (AWMS) has made a significant investment in team development, reporting several promotions and new appointments.